All the big high street stores do it and even the chain restaurants offer people a loyalty card of some shape or description. And the reason why is that it obviously works. Loyalty schemes improve customer relations with companies and can improve sales and customer footfall. A well managed loyalty scheme used with your EPoS system can boost sales and encourage more visits from your greatest asset – your existing customers. Obviously you need to have a good product at the right price and a friendly helpful staff to encourage people to revisit and spend money with you. Although this is not always the case – as you can see in any high street store. Many people will shop at a particular store or visit a chain restaurant because they gain points on a loyalty scheme. The points which then turn into money off vouchers or discounts or even part payment towards certain goods encourage them to be loyal. Even if the product range is not as good as they liked or the customer service was not up to scratch people will keep on visiting the outlets because they offer a loyalty scheme that the customer has found to be of some value. Understandably if you want to entice customers back, especially if you are an independent or small business, you need to address all areas that will be of benefit to the customer. It is important to encourage repeat visits and increased spending or loyalty to your business in order to keep trading and make a profit. 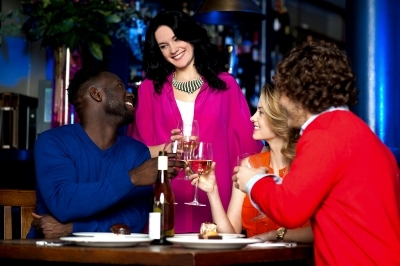 A happy shopping experience or a lovely enjoyable meal will make moves towards customer satisfaction. So ensure staff are trained to be helpful and welcoming, make sure you have a good menu or attractive product to sell. Look towards ensuring price is addressed and added extras are covered all as part of the service. Then think about adding a loyalty reward scheme. The EPoS software installed by Business Reply can offer you an option to use a customer loyalty either as part of the main software or as an add on option for you to run and administer through your EPoS tills. The scheme is quite adaptable and will allow you to run a loyalty scheme that suits your business. It will help you to reward customers and offer a benefit to them for being loyal to your business. The scheme can be run as a members only scheme so you could run a students night or students purchasing scheme if you have an outlet near a college or university. If you have a store or restaurant near a hospital you could offer a medical staff loyalty scheme or placed near a visitor centre or historic property you could offer members a loyalty scheme, too. 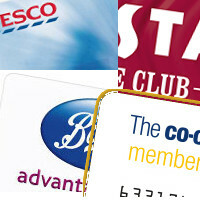 Again you could offer a scheme to all customers and offer points or rewards to sign up as an incentive. The loyalty scheme will ensure that once you have a clientele you can work to develop that asset and encourage more sales and visits from the valuable source of existing customers. The loyalty scheme software will allow you to see what products are being sold to targeted customers, how much is being spent and whether promotions are the main purchase point. With the add on software module you will have access to a database of customers with their contact details and personal details. You can use this database as a point for marketing so you can send SMS messages and email marketing messages for birthdays, promotions and special events. Contact your customers directly with marketing that is personal to them and will mean they react more responsively to the messages you send. (Emails and SMS messages may require you to sign up for Mail Chimp and SMS services). Make loyalty important to your business and so your loyalty scheme must be of value to your customers -and ensure that your loyalty rewards program attracts customers.